The H.R. 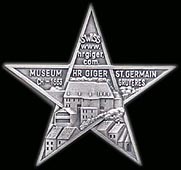 Giger Museum in Gruyeres, Switzerland showcases the largest collection of the artist's work on permanent public display, encompassing his paintings, sculptures, furniture and film designs, dating from the early 1960's till the present day. The top floor of the museum houses Giger’s own art collection. Located in the adjoining wing of the museum complex, above the HR Giger Bar, is the H.R. 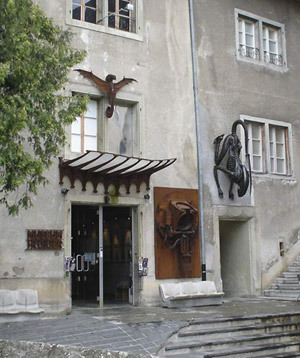 Giger Museum Gallery where, for the benefit of museum visitors, Giger exhibits the work of other artists on a regular basis. Missing in Prague - ELP paintings... !!! $10,000 REWARD!! !